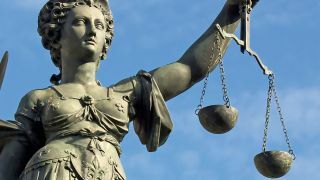 Will justice prevail for UK consumers? British internet users who feel their privacy has been breached by Google have the right to sue for damages within the UK, the High Court heard Monday. A group named Safari Users Against Google's Secret Tracking has launched a test case, accusing the Internet giant of bypassing security settings to collect information on customer's browsing habits. Millions of users in the UK and around the globe were affected when Google bypassed Safari's security settings, installing cookies between the summer of 2011 and February 2012. Google, however, asked London's High Court to throw out Monday's case. The search engine claimed that it isn't governed by the British Justice system, something it has relied on before. Instead, it states, claimants should launch their cases in the United States, where Google is based. Allegations against Google include misuse of private information, breach of confidence and breaking of the Data Protection Act 1998. It is also accused of disobeying an EU Directive in which consent is needed before cookies can be placed on a user's device. Google, in a written argument, contends that any damages recovered would be "very modest" and that the claims brought forward were "uninteresting" and for "trivial amounts". In reply at the High Court, Judith Vidal-Hall, former editor of Index On Censorship, had this to say: "We say there are very serious and important issues which relate to how Google, a corporation of immense wealth and power, deals with private information and the individuals who use their services … We reject the idea these are trivial and uninteresting claims." In August Google was fined $22.4m (£13.8 million, AU$25.2 million) in the US after being found guilty of circumnavigating security settings on iPad, iPhone, Mac and Safari browsers in order to collect user data. They later paid out a further $17.1 million (£10.5 million, AU$19.1 million) to settle another claim.